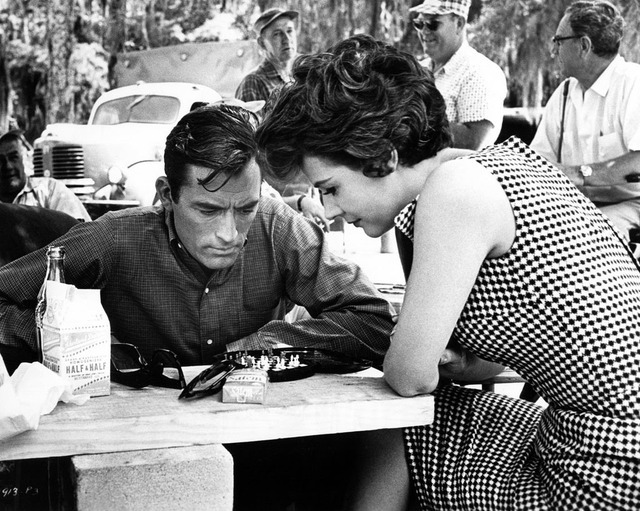 Gregory Peck & Polly Bergen. On the set of Cape Fear.. Wallpaper and background images in the Gregory Peck club. This Gregory Peck photo might contain 기호, 포스터, 텍스트, 칠판, 사인, 서명, 브라 세리, 작은 레스토랑, and 비스트로.